I've been trying to come up with just the right project for it. It had to be something extra special. You can't just stick 100 year old, handmade lace on anything. 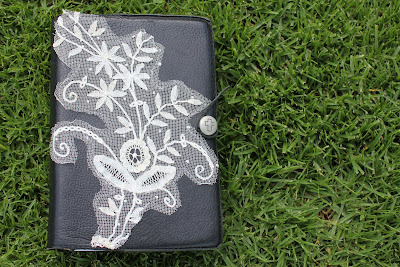 and my special lace got a new special home on my Bible. The plain black leather cover on my Bible had been begging for a makeover for quite some time. It needed a little something the perk it up. I think this added just the right touch. 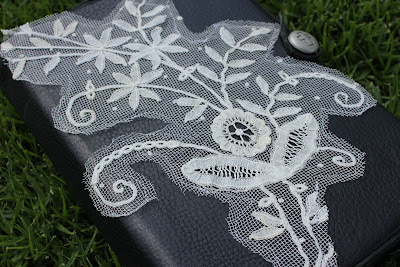 I love how the antique white lace shows up so well on the black cover. It really flaunts all the fabulous details. I turned out exactly how I had hoped. I saw this at your house last week and absolutely loved it! 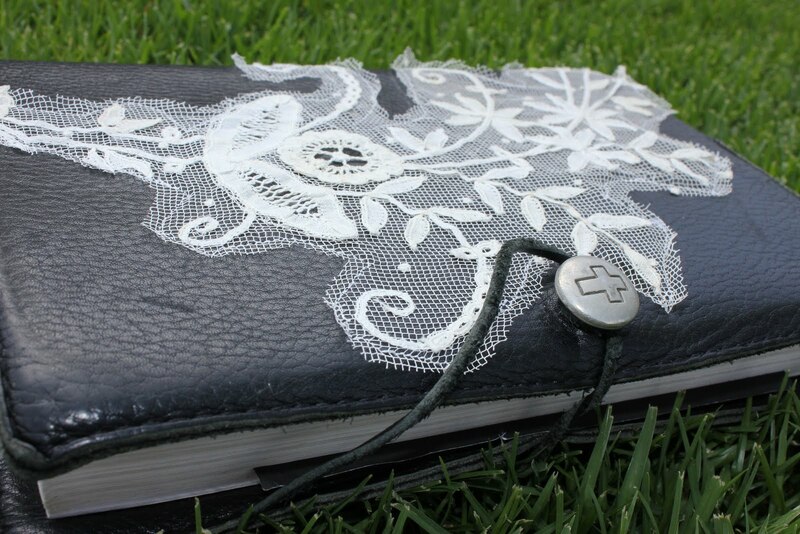 I actually was inspired to make myself a bible cover sometime soon. If a bible cover shows up on my "Sweet Like Honey" blog, just know that you inspired it :) This is fabulous, and I love the design of the lace.